River Overlook Rooms All Weekend! Whether you’ve got a taste for “the good old days of retro gaming,” or prefer the newer, less pixelated games of today, you can find a little bit of everything in our gaming room provided by the Nexus Gaming Alliance! Drop in and play anytime for free. If you’re into tournaments, check the schedule for this year’s lineup and stop by to add your name to the list. Other events in which NGA operates an electronic gaming room includes Anime Boston, Gen*Con, Awesome Con (Washington DC), and Origins, so you know the electronic gaming area will be first class! NGA is a combination of various talents brought together to form the ultimate experience in gaming. NGA is also involved in a multitude of other areas while at events. All tournaments have a roll call to assure attendance. Please make sure to check in 5 minutes before the start of any event. If you show up late, you very well could lose your spot in the tournament. Don’t let that happen to you! Have a question? Need help? Do not be afraid to ask Nexus Gaming Alliance staff members that will be on site. Just look for the branded NGA shirts. BridgeSimulators.com will again be hosting the Bridge Simulator Experience. This year they will be hosting BOTH Artemis Spaceship Bridge Simulator and Starship Horizons (Horizons on request), the two premier co-op bridge simulation games. Being on the bridge of a starship is a lot of work and requires a well-functioning team of officers, from a Captain all the way to a communications specialist. Immerse yourself completely in the realm of space by taking on a critical ship role and working with others to overcome obstacles, complete missions, and keep your crew safe and out of trouble. To sign up, visit Overlook Room C and add your name to the list! Missions will run hourly. 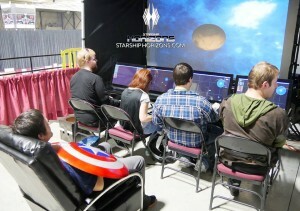 To learn more about the game check out http://www.starshiphorizons.com and http://www.facebook.com/starshiphorizons. We’ll see you on the bridge! From quick and simple all the way to thought provoking strategy, our game library has something for everyone! Sample a huge variety of board and card games from dozens of different publishers and make some new friends. Open late into the evening and with over 100 games available for rent and game demos running all the time (check the schedule outside of our room), there is plenty to keep you busy here! Our board and card gaming area will be handled by Wargames North, the premiere gaming and comic store in the northern half of lower Michigan. Wargames North has been involved in the gaming area of the Grand Rapids Comic-Con from the very beginning, and if you are from the Cadillac/Traverse City area then we would encourage you to check out their store and support them like they have supported us! Check out a game from our diverse library of board games! Whatever your age or attention span, we have something that’s sure to please. Try something new or introduce friends or family to a favorite. Bring your decks and competitive spirit! 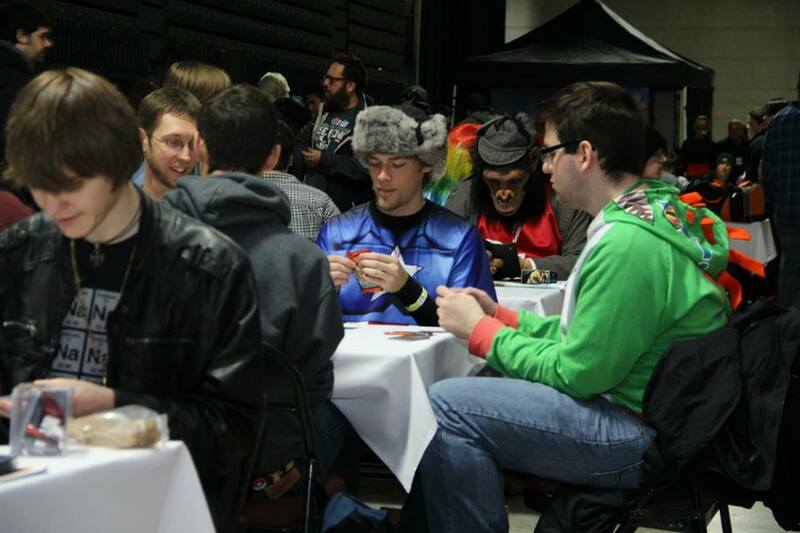 Our card gaming area is is available for open play as our tournament schedule allows. 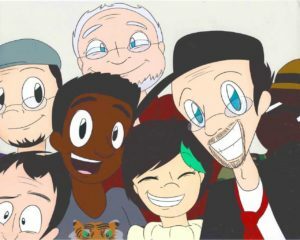 Are you a big Channel Awesome fan? Then you’re in luck! Drop by the Chase Board Room in the gaming area on Saturday night for some ridiculous laughs and wild humor with Cards Against Humanity! There will be opportunities to watch and you might even get a chance to sit in and play a few hands. Space for this event may be limited, so be sure to come a little early to grab a seat. Immerse yourself in an exciting escape room experience right here at the Grand Rapids Comic Con! 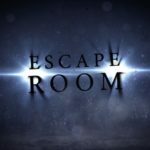 This year, we’re trying something brand new and will feature two themed escape rooms modeled after JK Rowling’s Harry Potter and Joss Whedon’s Firefly. Each room will last between 45 and 50 minutes and can accommodate groups of 8-10 (Firefly) or 10-15 (Harry Potter). Sign up sheets will be available outside of the escape rooms in River Overlook A and B in the gaming area of the con. The rooms will start running at 5pm and go until 12am on Friday, 10am until 12am on Saturday, and 10am until 4pm on Sunday. Sign up early to make sure you get a spot! Please note: this experience is recommended for individuals aged 13 and up. Anyone under the age of 13 must be accompanied by an adult 18 or older.